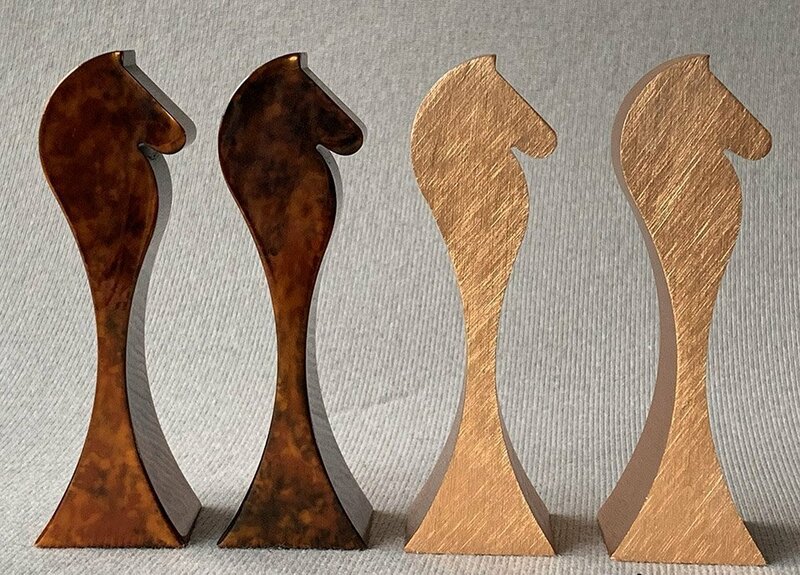 ICE Abstract Copper Chess Pieces. 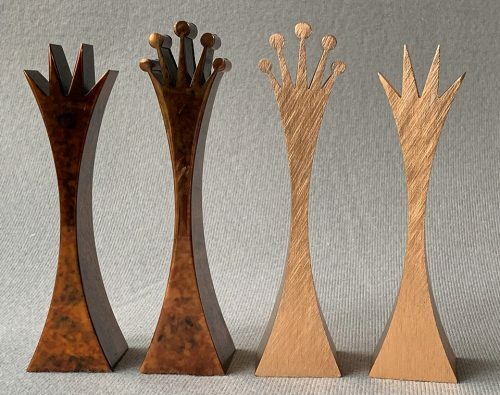 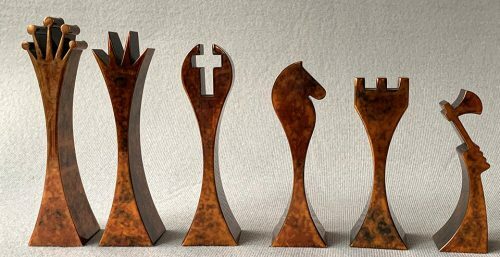 The ICE Abstract Copper Chess Pieces are a very rare set of chessmen, possibly produced in 1972 by The Columbia Aluminum Extrusion Group. 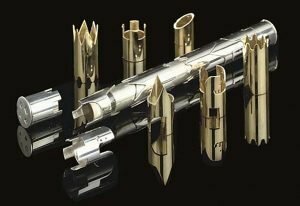 At least the extrusion tooling used is identical to that used to produce their “Aluminum Chess Set”. 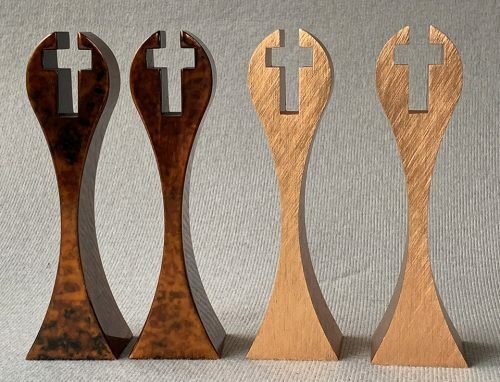 The 32 pieces were cut from Copper extrusions. 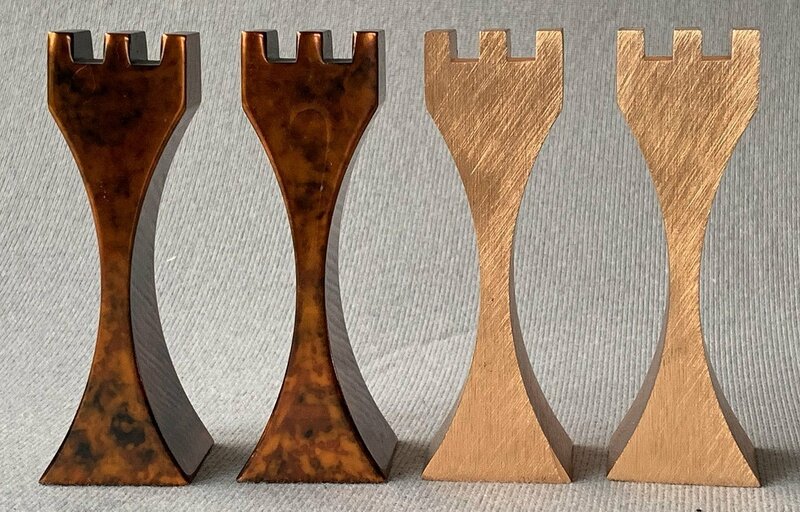 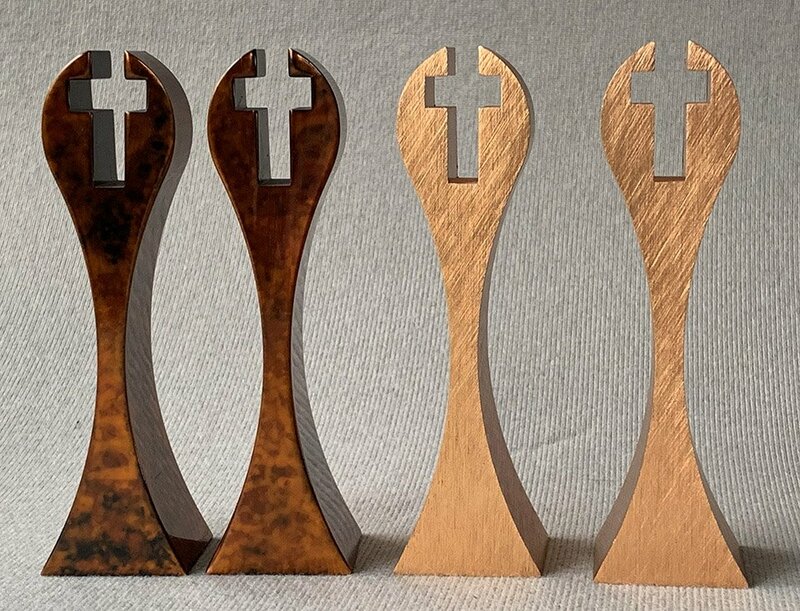 The light army is left in a natural Copper finish, while the opposing army is differentiated by a chemically treated and highly polished finish. The King measures 5″ with a 1-1/4″ square base. 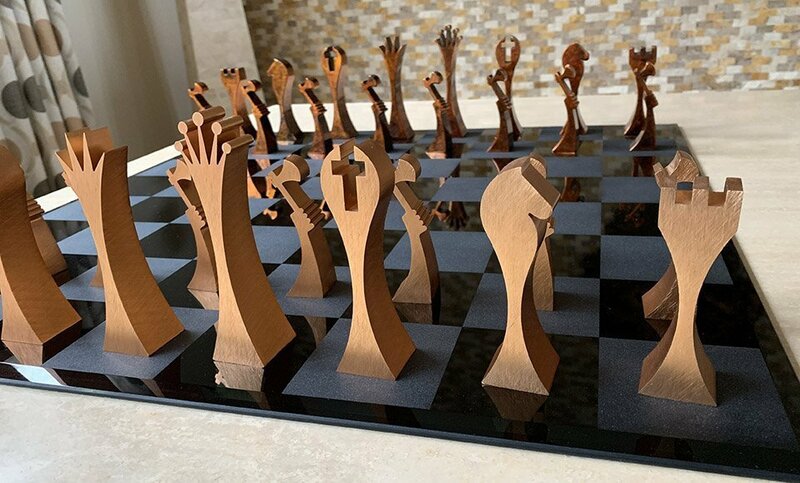 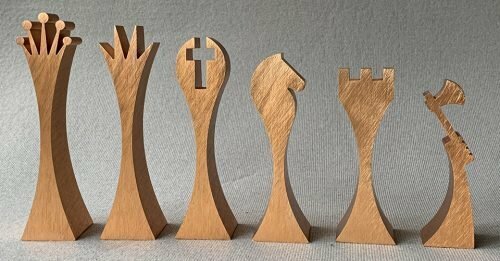 The Queen is 4 3/4′ tall, the Bishop is 4 3/8″ tall, the Knight is 4″ tall, the Rook is 3 5/8″ tall and each Pawn measures 3 3/8″ tall.” All the pieces come with felt bottoms. The pieces are strikingly abstract in form. 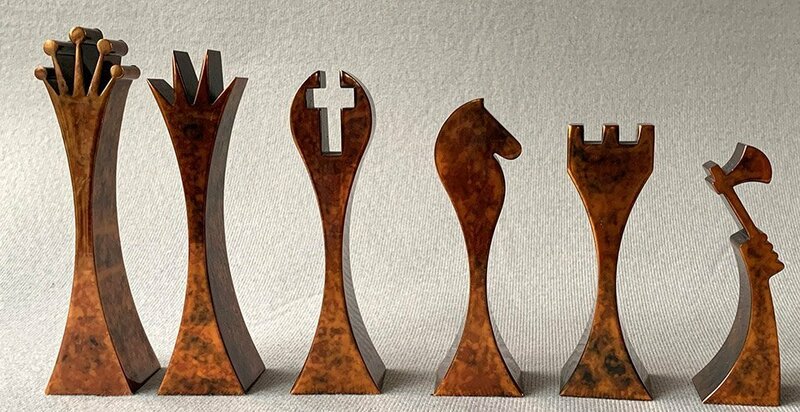 The King and Queen is represented by crowns, the Bishop is a shield and the Knight a silhouette of a horse. 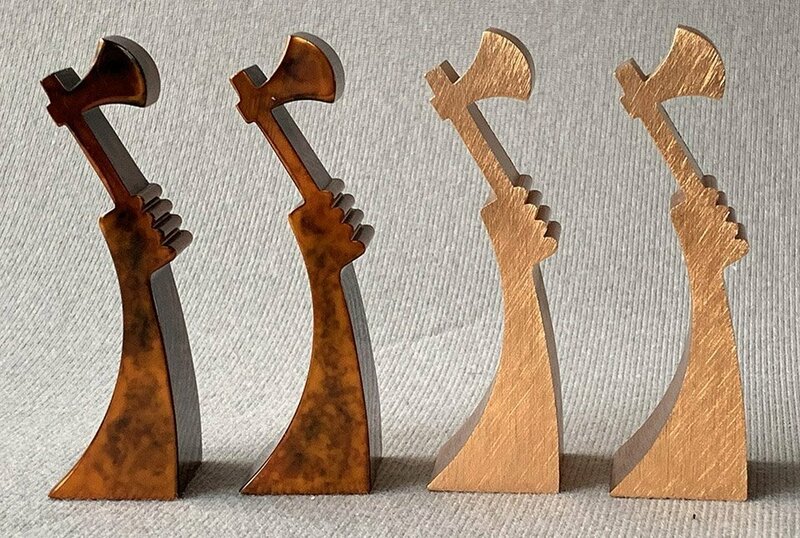 The most unique feature are the Pawns, which are represented as Silhouettes of a hand wielding an axe! 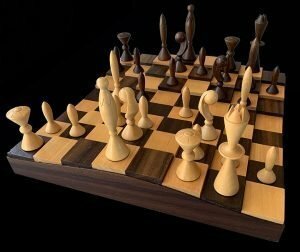 Several of the pieces bear the I.C.E. 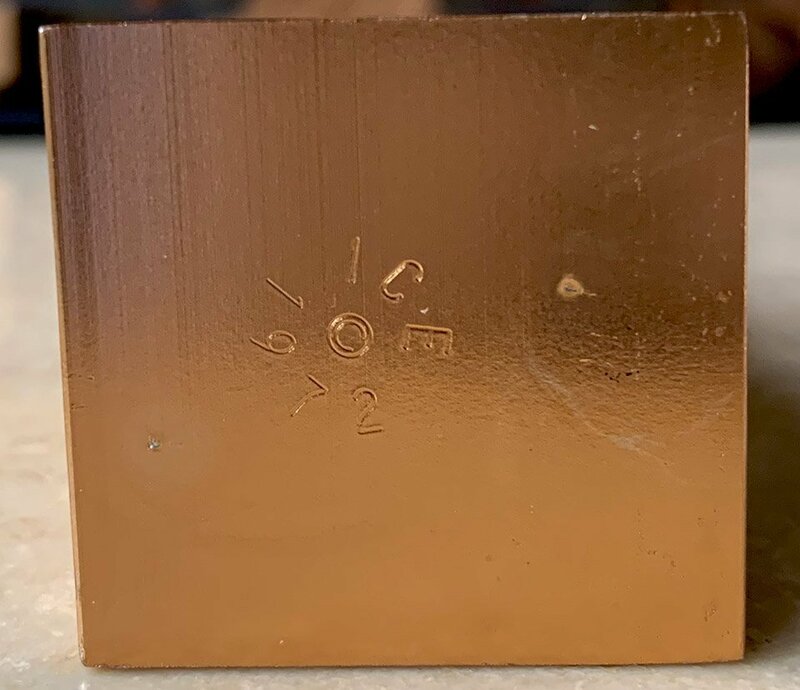 1972 stamp on their undersides. This abstract chess set design, with clean lines, is typical of the 1960s Minimalist movement which permeated design and architecture in the 1960s. The ICE Abstract Copper Chess Pieces are shipped in a replacement box. 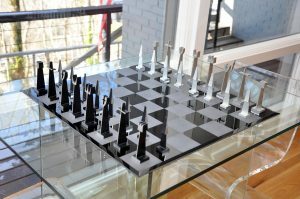 The attractive etched black and gray etched glass chessboard shown is not included, but can be added for an additional $395 plus S&I. 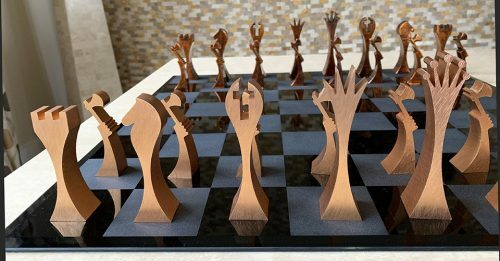 The Aluminum version of this set was created much later by The Columbia Aluminum Extrusion Group. 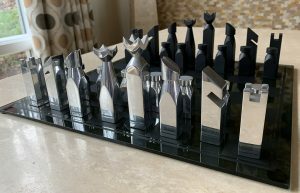 Dubbed the “Aluminum Chess Set”, it was a limited edition produced for promotional purposes in the mid-1990s. 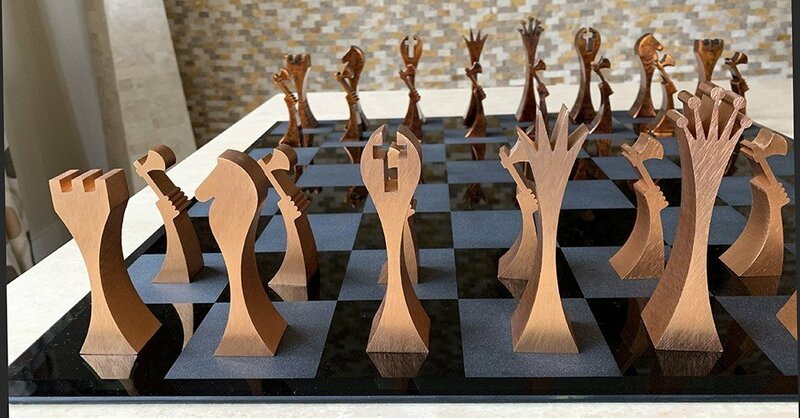 That set was fabricated in extruded aluminum, and sold with an aluminum chessboard. 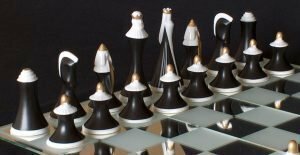 That Aluminum set was Priced at $850, in a limited edition of 200 chess sets.